Process Navigator can export the data captured within process maps to XML. This enables users to transfer the data captured into any XML-based applications. 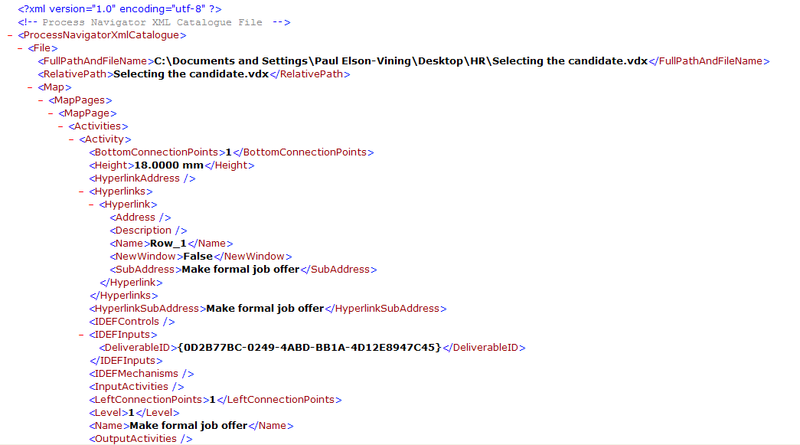 However, please note that normally an XSL Transform will need to be written in order for this transfer to take place. Triaster offer this service through the Professional Services division but also include some XSL transforms with the product. These transforms are located at C:\Program Files\Triaster\Process Navigator\Transforms. Using the menu option Multi-Map > Export > Process Navigator XML Hierarchy will build an XML file that lists the map properties of each of the loaded maps in a hierarchical format. This is the first step required to use the Export to Microsoft Office Project menu option. To Export the XML Hierarchy, load the maps that you require in Process Navigator. Select Multi-Map > Export > Process Navigator XML Hierarchy. Specify a location to save the file and give the file a name. Click Save. Process Navigator will load the selected maps to Full status and create the XML hierarchy file. Please see the section on Exporting to Microsoft Project to use this XML file further. Using the menu option Process Navigator XML Catalogue will build an XML file that lists the map properties of each of the loaded maps in a flat format. This is useful when creating reports. To Export the XML Catalogue, load the maps that you require in Process Navigator. Select Multi-Map > Export > Process Navigator XML Catalogue. 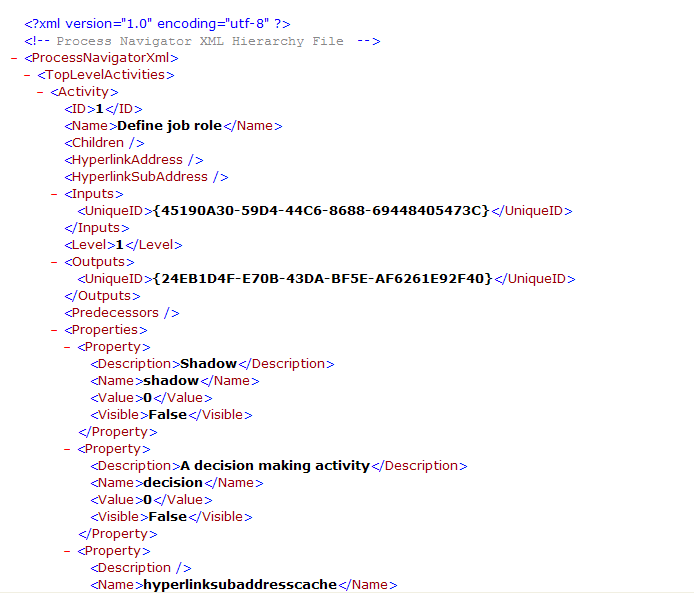 Process Navigator will create the XML catalogue file. Please see Other Reports to use this XML file further.